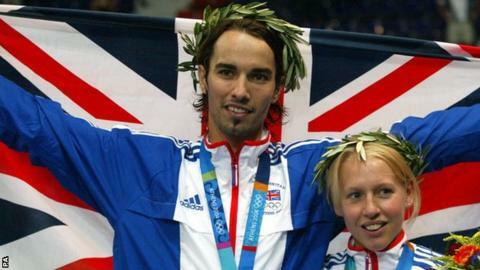 Former Olympic silver medallist Nathan Robertson will coach Jersey's badminton team at the 2014 Commonwealth Games. He will coach Jersey's "strongest" Commonwealth badminton team, according to their Games Association head. England's 2010 bronze medal winner Elizabeth Cann for the fourth time. Mark Constable, who won team bronze in 1998 and gold in 2002 for England, and Jersey-born former England player Mariana Agathangelou, are also picked. Agathangelou also won team bronze for England in 2010 is joined by Danish-based professional Solenn Pasturel who has played for Jersey at every Games since 1998, and 22-year-old debutant Alex Hutchings. "The team are most fortunate to have Nathan Robertson as their coach," said the head of Jersey's Commonwealth Games Association Alan Cross. "Nathan is a very experienced international badminton player. He has also won medals at the Commonwealth Games and he promises to be an invaluable asset to Team Jersey and will help to motivate them to perform at their very best. "This is, without doubt, the strongest badminton team that Jersey has ever sent to a Commonwealth Games."